We all have gifts and challenges. Regardless of gender, all yogis fall on a spectrum that runs from very strong to super flexible. Men are naturally stronger, in general, and woman tend to be more flexible. For many athletic men, the challenge in yoga is learning to use your body in ways that years of pushups, curls, squats and wind sprints have not prepared you. In fact, all that work you did into muscling your shoulders, thighs and ripping your abs is pretty much the opposite of what’s effective in a yoga class, yet learning a different way to use your body can improve the efficiency of what you’re already doing. Many strong, athletic men share a few tight spots that even simple yoga poses make painfully obvious: hamstrings, hips, inner quads and groins, and shoulders. And by “tight,” I mean inflexible. But just as most women work hard to increase their strength in yoga, you can work to increase your flexibility. Here are five poses that can (over)stretch a guy’s patience, along with easy in-class modifications and a bit of homework to ramp things up. Remember that you didn’t lift 250 your first time with a barbell, so give yourself a break. It’s not called yoga “practice” for nothing. Chances are good that you’ll do a few dozen forward bends in every class. They can really get you in the hamstrings and also in the lower back if your hips are tight. How to do it: From standing, reach both arms overhead, then bend at your hip joints and bring your finger tips or hands to the floor for a full spinal stretch. Easy in-class fix: Bend your knees to relieve tension in your hams and lower back. If the floor still seems like a distant goal, put your hands on one or more yoga blocks to bring the “floor” closer to your hands. Homework: Hamstrings are nature’s brakes. Persuading them to let go requires some diversionary tactics. Instead of simply falling into the pose, contract your abs and your front quads as you fold. Keep your quads actively engaged even when you’ve folded as far as you can, and even if your knees are bent. Push down into your feet, and reach your sit bones (ischial tuberosities for anatomy geeks) up to the ceiling. Gently pedal your legs as you would on a bike, bending one knee (deeper if necessary) and pushing the opposite heel strongly into the floor. As you feel your hams ease their grip, try putting one foot on a yoga block (or a thick book) and continue gently stretching that heel toward the floor. You can use the block technique standing as well. Another common pose that, like the standing version, can pull your hamstrings and lower back to their limits. And you don’t have gravity helping as you do in the standing version. How to do it: Sit and stretch both legs straight out in front of you. Reach both arms up and lengthen through your spine. Fold over your legs from your hip joints, reaching toward or in front of your feet. Easy in-class fix: If your hips are tight, your lower back will tend to round sitting on the floor, losing its natural curve, and you may feel your lower belly “collapse.” To counter that tendency, sit up on one or more blankets until your lower back regains its curve, then gently tilt your hip points down (anterior pelvic tilt). If hamstrings are giving you grief, put a little bend in your knees before folding. Only fold as deep as your lower back allows, retaining its natural curve. Homework: Sit up high enough to relax your lower back, in a chair if necessary, and push the soles of your feet into a wall. Gently pedal your legs one at a time, reaching one heel toward the wall to loosen your hams and the backs of your knees, while bending the opposite knee and pushing into the ball of your foot. When you’re ready, actively engage your abs and quads, and reach your tailbone back. Exhale and begin to fold over your legs from your hips, reaching toward the wall while keeping your back long and strong. Again, only go as deep as your lower back retains its natural curve. Slowly work your way toward sitting on the floor, then try it with your feet away from the wall. Another yoga class staple, down dog is an all-over spine, arm and leg toner and strengthener, when done correctly. It can also challenge all the tight spots: shoulders, hips and hamstrings. Easy in-class fixes: To relieve the strain on your hamstrings and lower back, keep your knees bent and stay up on the balls of your feet. Lift your tailbone to the ceiling to lengthen from waist to pubis and return your low back to its natural curve. With tight shoulders, it may be difficult to bring your arms in line with your torso, resulting in your upper back rounding. Take your hands wider than your shoulders. Actively press into your palms as if to push the floor away from you, then try a gentle external rotation of your upper arms (lifting your inner arms up) to broaden the tops of your shoulders. Squeeze the lower tips of your shoulder blades together to bring your chest a little closer to your upper thighs. Homework: If tight hamstrings are your nemesis, see the homework above. To gain flexibility through your shoulders, grab a firm-seated chair and a yoga block or thick book, and face the seat. Come down to your knees and place your elbows on the seat with the block or book length-wise between your palms, thumbs up, to encourage widening across the front and top of your shoulders. Walk your knees back to extend from your hips to your elbows, keeping your hips right above your knees. Actively press your hands into the block and your forearms down, then lift your inner arms (triceps) up to the ceiling, relaxing the tops of your shoulders (trapzius) while squeezing the bottom tips of your shoulder blades together. Extend your tailbone back to encourage a deep stretch from your armpits and along both sides of your torso (latissimus dorsi). If your shoulders are heavily muscled, feel free to begin with your hands and elbows farther apart (use more blocks or books), and slowly work your way to bringing your arms and hands in line with your shoulders. Hold for up to six to 12 deep, steady breaths, and release for three breaths. Repeat three times, aiming for a slightly deeper stretch with each repetition. Warrior poses come in three versions, all of which are asymmetrical standing poses. All three versions will build strength and balance, but Warrior I can be particularly challenging with its demands on lower-body flexibility. How to do it: From standing, step your right foot back about 3-1/2 to 4 feet, putting your heel down, straightening the knee and angling the foot out from 30 to 45 degrees. Balance your weight equally in both feet, bring your hip points and shoulders parallel to the front edge of your mat, and bend your front knee so that it’s directly above your ankle and pointing toward the base of your second and third toes. Lengthen your spine and reach both arms up strongly to bring your inner arms just outside of your ears, palms touching. Repeat on the other side. Easy in-class fixes: With tight hips, your pelvis will naturally want to follow your back foot, making it difficult, if not impossible to make your pelvis parallel to the front edge of your mat, and the top of your pelvis will tilt down, putting pressure on your lower back. First, shorten your stance a bit. Gently pull your pubic bone to your navel, and draw your naval to your spine to lengthen your lumbar vertebrae and drop your tailbone (sacrum) straight down. Allow your back knee to bend a bit to help ease tension in your hamstrings. If tight shoulders are an issue, externally rotate your arms (inner arms and thumbs move away from your body) to widen the tops of your shoulder as you raise them with your palms facing each other. Draw the tops of your arm bones deeply into your shoulder joints and draw your shoulder blades down your back. Don’t worry about touching your palms together. Homework: See above for tips on increasing your shoulder and hamstring flexibility. If tight hips are an issue, try this: Lay down on your back with your knees bent and feet flat, hips width (roughly two fists) apart. Begin with a few pelvic tilts. On an exhalation, contract the muscles of your lower belly, pulling your pubic bone to your naval and extending your tailbone to your heels (anterior tilt or nutation). You’ll feel a slight flattening of your spine to the floor. As you inhale, soften your low belly muscles and reach your pubic bone toward your heels, gently pressing your tailbone down (posterior tilt or counternutation). Repeat from six to 10 times breathing naturally before returning your pelvis to your natural neutral. Next, place the ankle of your right leg on your left thigh just below the knee, allowing that thigh to open away from you as far as comfortable. Pause and breathe. Take a slight anterior tilt in your pelvis, and place your right palm on your right thigh. Exhale and gently press the right thigh and knee away from you. At the same time, resist the push of your hand by drawing your lifted thigh toward you, encouraging the hip to release a bit. Relax as you inhale. Repeat three to six times with your breath, then drop your hand, but don’t uncross your legs. Lift your left foot off the floor, bringing the left knee and the thigh toward your abdomen to increase the flection of both hip joints, then reach your right hand between your legs and join your left hand reaching around the outside of your left thigh. Flex both ankles. Externally rotate your right thigh by lifting your inner thigh up and reaching your outer thigh and hip down. Extend through your little toe. If you’re able, gently extend your right knee away from you to open the angle between hip and thigh. Hold for three to six deep breaths before releasing your hands and uncrossing your leg. Take one or two breaths, then repeat the entire series on the other side. This seated pose stretches your inner thighs and groin, and helps open your hips. If all those spots are tight, it can feel a bit like torture. 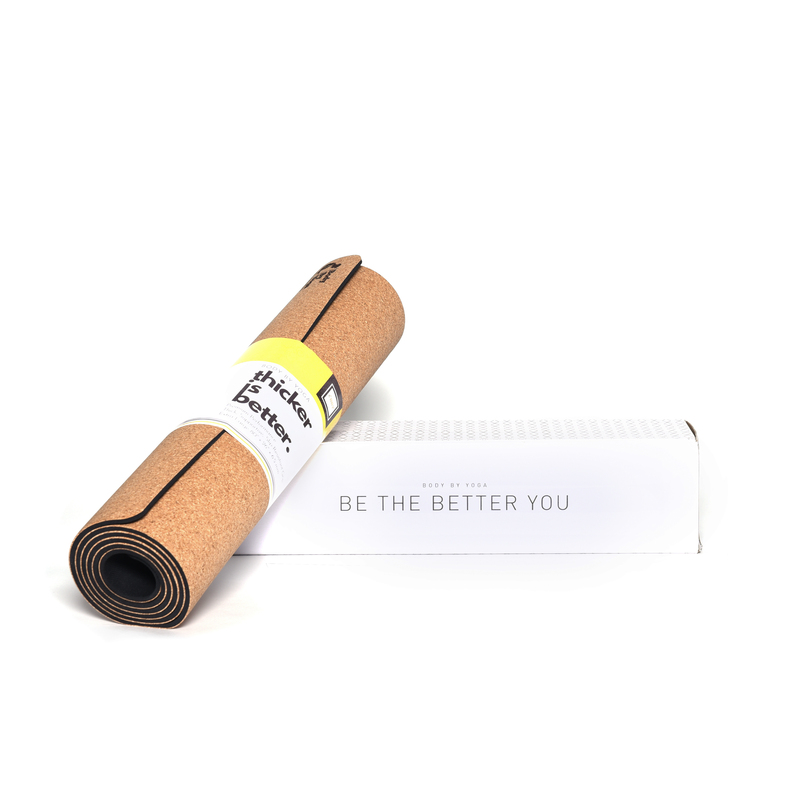 How to do it: Sit upright on your mat with your legs extended. Bend your knees and allow them to fall apart. Bring the soles of your feet together, and draw your heels in toward your perineum. Grasp your big toes between your thumb and first two fingers. Extend your spine and bring your outer knees to the floor. You may also fold forward over your feet to bring your forehead to the mat. Easy in-class fixes: If your hips are tight and your lower back rounds sitting on the floor, this pose will emphasize the rounding, so sit up on one or more blankets until you regain the natural curve in your low back, and your pelvis takes a slight anterior tilt. If your inner quads are tight (or your knees feel strained), don’t attempt to pull your heels in closer. Instead of grabbing your toes, hold your ankles or shins. If your groins are tight, dropping your knees to the floor may seem like an impossibility. That’s OK. Never forcefully push your knees down. Place blocks under your thighs to relieve the strain. Sit up tall to extend your spine and bring your lower belly in and up. Forget the fold. Homework: See the homework above to open your hip joints. To increase flexibility in your inner thigh and groin muscles, use the concept of agonist and antagonist muscle pairs: As one muscle contracts the other relaxes. Come into the pose as best you can, using the in-class fixes above. Gently contract your lower glutes along with your outer quads from upper thighs to your knees. (Accessing your outer quads may require intense concentration.) At the same time, try to relax your groin muscles and inner quads. Hold for a slow count to 10 (or three to six deep breaths) and release. Take a breath and repeat three to six times as you’re able. By contracting and relaxing opposing sets of muscles, you will be gently pulling your knees to the floor and encouraging your groin and inner quads to release their grip.